GENERAL ELECTRIC is a major American corporation. 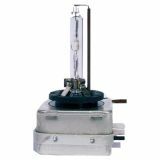 Its products portfolio includes auto halogen lamps, mercury vapor lamps, incandescent bulbs, high efficiency energy-saving lamps, car filament bulbs and others. It is founded by the inventor Thomas Edison in 1878. Initially it was called Edison Electric Light, and after its merger in 1892 with "Thomson Houston Electric", conducted by financial tycoon JP Morgan, receives its present name. Currently, GENERAL ELECTRIC is a global consortium with branches in more than 50 countries worldwide and the company develops innovations in various fields of industry, agriculture, medicine, aviation and high technology. Several of the early business proposals of Thomas Edison are still part of GE today, including lighting, transportation, industrial products, power transmission and medical equipment. One of their main areas of activity is precisely the production of various lighting solutions in this area. Brand GE Lighting is a marker for long life, safety and quality and offers its customers a wide variety of lighting solutions. 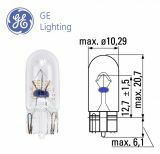 VIKIWAT Ltd. is a Bulgarian wholesaler and retailer and offers to its customers a wide range of General Electric lightning bulbs and lamps. In our offline and online stores, you can in stock quantity of wedge base lamps, auto halogen lamps, mercury vapor lamps, incandescent bulbs, high efficiency PL energy-saving lamps, oven bulbs, miniature auto bulbs, starters for fluorescent lamps, dashboard car lamps, halogen downlight with base, fluorescent linear lamps, car filament lamps, automobile incandescent bulbs, halogen lamps with reflectors and many other types of lamps at affordable prices with fast delivery. Xenon Car Lamp GE 53680, 35W, D4R, 42V Xenon lamp for car with 35W, 42V, 307x156x105 mm. 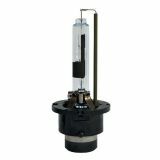 Car lamp Xenon GE 53670 35W D4S 42V Xenon car lamp with 10mm, 35W, 42V, 307x156x105 mm. Car lamp XENON GE 53620H, 35W, D1S, 12V Xenon car lamp with 10mm, 35W, 12V, 307x115x105 mm. 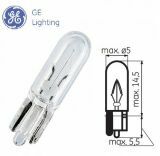 Automotive lamp, GE921, W16W, 12VDC Auto bulb for third stop light and reverse light. 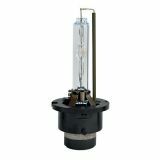 Automobile bulb, 12VDC, 6W, H6W Car bulb with base H6W. For dashboard and interior light. Capacitor, 0.9uF, 2100V, 55x33x89mm Capacitor with capacitance 0.9 uF and voltage 2100 V.
Wedge base lamp, 12VDC, 1.2W, W1.2W, W2x4.6d, Т5 Automobile bulb suitable for dashboard and interior. Long life. Automotive lamp 12VDC, 3W, ECE W3W, W2.1x9.5d Auto lamp W2.1x9.5d for dashboard and interior, which will make every trip pleasant and comfortable..